Selecting the best web hosting company in the WP Engine vs Bluehost battle depends on your priorities as you are building your website. This article has been written to give you a better understanding of the features and benefits of Bluehost vs WPEngine. It pins them head-to-head in a no-frills analysis of their performance, usability, security and prices. WP Engine is an Austin based web hosting company that focuses on WordPress hosting services, which indicates that they primarily support and assists customers with WordPress. It features powerful stats for both uptime and site speed. This indicates their commitment to speedy service for their small customers and enterprise clients, as their brand focuses on reliability and customer service. Per a sample of ten (10) optimized sites, the average WP Engine speed and load time is 1.3 seconds. Bluehost is a web hosting company which is more suitable for clients who are looking for an economical solution, as they have low rates for entry-level services. However, the Bluehost uptime numbers considerably reflect that they have difficulty with stability and reliability than the WP Engine. Per a sample of ten (10) optimized sites, the average Bluehost speed and load time is 1.8 seconds. Based on raw performance, WP Engine gets the edge due to its faster speed, longer uptime and overall reliability. The hosting platform caters to small and large business alike. WP Engines makes it easy for potential clients to sign up for their offered services by concentrating their hosting plans with designations such as Personal, Professional, Business and Enterprise. 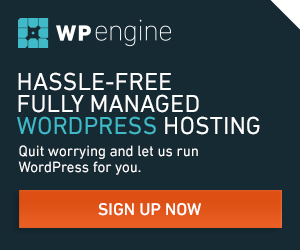 The WP Engine plan comes together with WordPress exclusive hosting, 1 click WordPress installation, Proprietary caching technology, FREE SSL and CDN ready and as well as 20% off your first payment. The WP Engine monthly fee starts at $29. There are also premium customized plans that can be availed of. Bluehost’s most popular plan is the shared hosting which starts at only at $2.95 per month. The starter Bluehost plan for shared hosting is inclusive of free domain and site builder, 1-click WordPress installs, Unlimited site traffic and in-house support available 24/7, Industry-leading hardware and uptime, 100 GB of web space, 500 MB of e-mail storage plus unlimited webspace, subdomains and bandwidth. This makes Bluehost a more economical and cheaper alternative for customers who may be tight on funds. It today’s economy, saving money is a top priority. In terms of pricing, Bluehost is the clear winner of the WPEngine vs Bluehost comparison. In terms of security and risk management, WP Engine is flat out the better option. They feature their own caching system which ensures that your site is constantly monitored to ward off hackers. Also, WP Engine makes it a cinch setting up an SSL certificate, all for free, using Let’s Encrypt. Bluehost offers online business the SiteLock feature, which not only scans the website daily for malware and spam, but also increases the conversion rate on the website. WP Engine removes the clutter from the traditional CPanel view, and just gives you the things that you need, making this the easiest host to use. Even if you are a newbie to hosting and websites, you can surely navigate through the admin interface. Also, they have a one-click staging area which simplifies the process of setting up a development or testing version of your website. Bluehost, on the other hand, uses the more traditional cPanel interface rather than having its own customized and user-friendly features. This can make it a bit overwhelming for someone who is new to hosting or a cPanel. Although Bluehost allows one-click installs of most major applications, it’s not always as simple as it is with WP Engine. The ease of use, a user-friendly and simple dashboard and the added features that are beyond what a typical web host provides gives WP Engine the edge when it comes to overall WPEngine vs Bluehost usability and customer gratification. WP Engine gained a variety of positive testimonials regarding their customer support system, as WP Engine has focused their brand on reliability and customer service. Meanwhile, Bluehost have gained a bad reputation through various reports on the web about the poor or slow customer support from the company. WP Engine’s various methods of getting help give the company an edge when it comes to overall Bluehost vs WPEngine customer support. The WP Engine support includes online chat and has a customer team with a consistently quick response time. Enhanced Security features: Powerful firewalls that prevent sites from attacks. Automatically backup files and database every day. Instant Tech Support, providing 24/7/365 support over phones, Email, Chats, and social media. Fastest speed with their new tool “Page Performance”. Pre-installed WordPress that does not need additional setup. Price is a bit higher than Bluehost. Price is considerably lower than WP Engine. Gives a free domain while registering with Bluehost. 1 Click automatic installation of WordPress. Dynamic Upgrades where you can add more Ram, CPU and Storage. $100 free Google AdWords Credit. Bluehost gives a dashboard with full of applications like Google apps and Cloud fare. Site migration is not free. After analyzing the different features that these two websites can offer, WP Engine is a clear winner. While the entry level will cost you a bit higher than Bluehost, the reliability, stability, speed and customer support and the advances in technology that WP Engine offers outweigh the potential savings that Bluehost can give. Find out in what areas WP Engine beats eHost, one of its top contenders. If you have any experience with the two companies presented here, let us know your opinions regarding the WPEngine vs Bluehost.